FortuneJack Casino is one of the world’s only cryptocurrency casino which has shunned normal currencies in favour of cryptocurrencies such as Bitcoin. 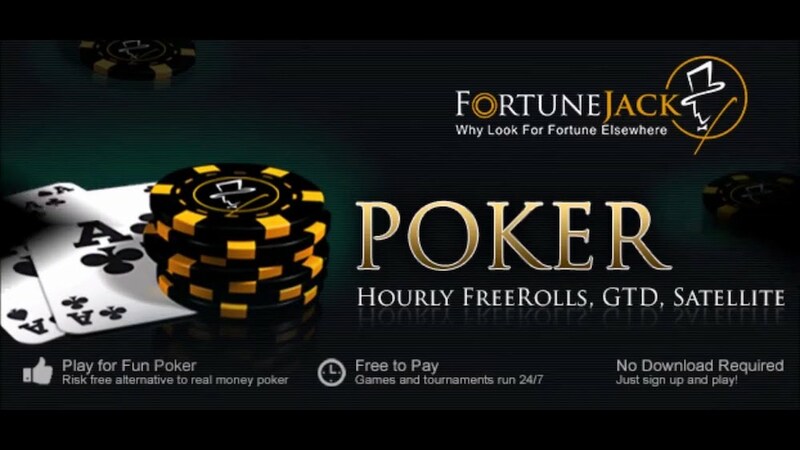 In this FortuneJack Casino review, we will discuss all the aspects of this casino and examine pros and cons of FortuneJack Casino in detail. FortuneJack Casino as mentioned supports cryptocurrencies only such as Bitcoin, Litecoin, Doge, Novacoin etc. and it’s not possible to play at this casino using a real-world currency such as USD, EUR or GBP. This can be considered as its biggest advantage or disadvantage depending on the perspective of the user. Some people who only deal in digital currencies consider it as a boon while it’s certainly out of bounds for someone who doesn’t has access to these exotic currencies. In other areas such as the collection of games, countries and languages supported, FortuneJack performs quite well and can be considered one of the most successful online casinos launched in recent years. FortuneJack has one of the best collection of virtual and live casino games offered by any online casino and allow its users to trade Binary Options and has a crypto currency only betting scheme known as AnyBet. FortuneJack is owned by Nexus Group Enterprises Casinos which is registered and licenced in Curacao. FortuneJack is backed by a team of professional Casino operators and veteran software developers who have a deep understanding of the casino industry and technology. This unique combination has allowed them to use state-of-the-art technology for protecting their clients from any untoward incident and this can primarily be considered as a high-tech operation due to their focus on cryptocurrencies. FortuneJack supports several slots based, virtual, poker, table based games and the company has also gone one step ahead of the competition by developing its own unique games such as LuckyJack which is their daily giveaway promo game through which the company distributes up to 1000 mBTC every day to players. Another noteworthy feature of the FortuneJack site is their emphasis on provably fair games. 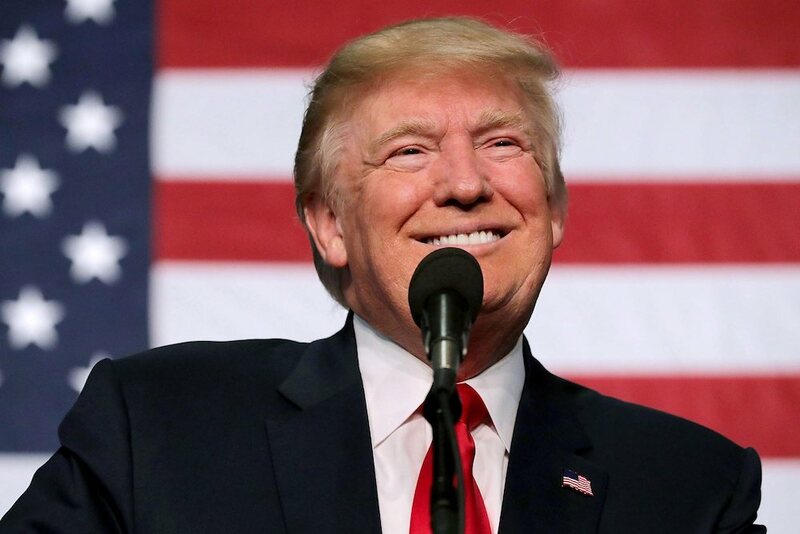 Provably fair is a system which makes it impossible for players or the casino owners cheat and this recent innovation is extensively used by some of the most successful bitcoin casinos. FortuneJack offers quite generous bonuses with each player having the opportunity to get a bonus ranging from 100% to 130% depending on their initial deposit amount. FortuneJack Casino has been able to make a name for itself in the short amount of time since it was launched in 2014 by a team of veteran casino operators and software developers. Owners of FortuneJack are reputed to have more than 20 years of experience in the gambling industry and the founders are also known to run two technology companies, Steady Logic and Gambletec, Inc. Technological skills of the team has allowed them to run and maintain their own proprietary gaming software. FortuneJack uses cryptocurrencies exclusively and is considered as one of the premium Bitcoin casinos. Unlike many other Bitcoin casinos, FortuneJack doesn’t allows other currencies to be used and all deposits and withdrawals can be only done using the supported cryptocurrencies. FortuneJack offers more than 500 provably fair games which include some of the most popular games developed by renowned digitally distributed gaming solution providers such as Betsoft, Novomatic, Endorphina, Aristocratic Slots and Evolution Gaming. FortuneJack can be considered as one of the leading Bitcoin casinos at present as few other bitcoin based casinos offer the expansive gaming titles offered by FortuneJack. FortuneJack website is available in Russian in addition to English as the company has a high number of users from post-soviet states and eastern Europe, where Russian remains the main lingua franca. FortuneJack website stands out from competition due to visually appealing aesthetics, user friendly interface and the company has invested a good amount of time, funds and planning into making this one of the safest online casino sites. FortuneJack employs SSL encryption to keep the site safe from any hacking attempt and the website also uses Cloudflare DDoS protection. FortuneJack allows users to bet against each other via their AnyBest game and those interested in making hefty gains can also try binary option trading which can sometimes multiply your initial investment. Although, binary options are financial instruments and as such are not provided by most other online casinos. 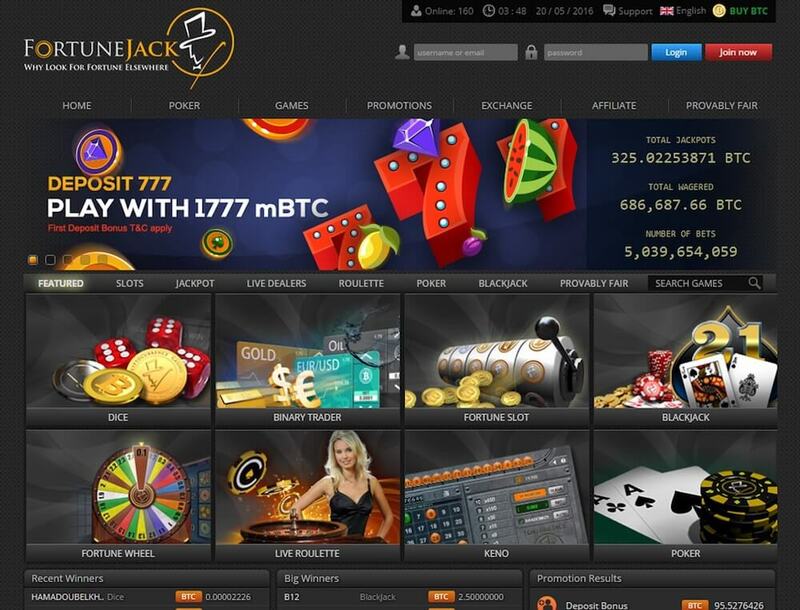 FortuneJack has offered them to increase the scope of opportunities available to their users. Which games does FortuneJack Casino offer? FortuneJack offers a wide collection of all sort of games which also include some of the most popular games developed by their online gaming software partners. They have several live casino games such as Live Roulette, Baccarat, Texas Hold’em, Caribbean Poker, Blackjack etc. FortuneJack also has some of the most in demand games in their poker category such as Joker Poker, Pyramid Aces and Faces etc. You can also choose from 400 other slot based games developed by their partners and can choose among games such as Keno, Bingo, Sic Bo, Video Poker, Dice, Fortune Wheel. FortuneJack Casino offers customer support via live chat and the email contact form available on their website. FortuneJack offers 24/7 support 7 days a week and customer support representatives are reported as being extremely helpful. Although, the company at present doesn’t provide customer support via telephone. As mentioned in the opening paragraph, FortuneJack is a cryptocurrency only casino which exclusively supports Bitcoin, Dogecoin, Litecoin, Darkcoin, Reddcoin, Peercoin, Namecoin, Clams and Novacoin as currencies. All deposits and withdrawals are processed in these currencies only and there is not an option to use a real-world currency backed by a government such as USD, EUR, GBP etc. FortuneJack supports multiple ecurrency wallets which are used to hold cryptocurrencies. At present FortuneJack supports withdrawals and deposits made via Bitcoin, Litecoin, Dogecoin, Clam, Dash, Novacoin, Peercoin, Namecoin, Reddcoin, and IndaCoin. Almost all deposits and withdrawals are processed instantly as FortuneJack is a 100% electronic operation which only involves payment transfers to and from eWallets. FortuneJack hasn’t specified any maximum deposit or withdrawal limit. Although, the website maintains a minimum limit of 1 mBTC or 0.001 BTC which means that this is the minimum amount which can be deposited or withdrawn from the site. FortuneJack doesn’t charges any fees for making deposits and withdrawals and there is nothing of this sort mentioned on their website. 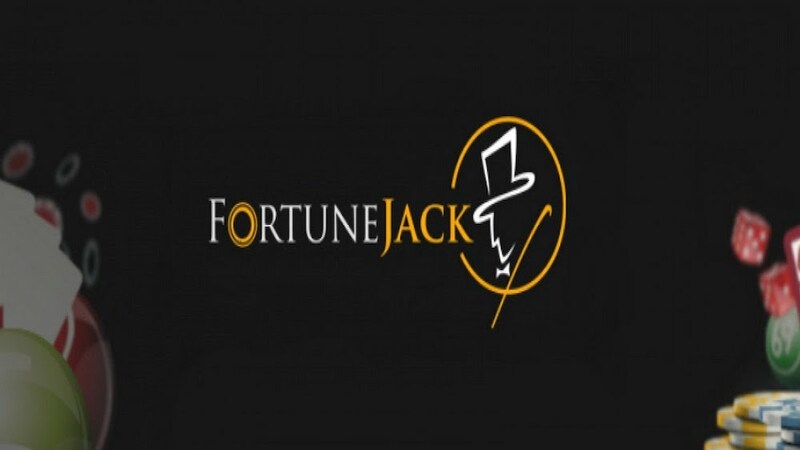 FortuneJack currently doesn’t has any mobile app either on the Android or iOS marketplace and the company has instead adopted a mobile site approach to serve the needs of its mobile users. FortuneJack has a responsive mobile site, where a user visiting from any mobile device is automatically redirected. FortuneJack Casino offers a generous bonus of up to 100% of the first deposit and users can also get a bonus up to 130% of their first deposit. FortuneJack employs a dual strategy for awarding bonuses where they pay attention to the amount being deposited as first deposit. As such users depositing a minimum of 0.001 BTC are eligible for a 100% matching bonus up to 0.5 BTC, whereas users who deposit a minimum of 0.777BTC can get a bonus of up to 130% up to 1 BTC. There is also a wagering requirement of 40x which must be met before any bonus can be withdrawn by a user. In terms of wagering requirement, FortuneJack has set the bar a bit higher as most of their competitors allow users to withdraw funds with wagering requirements around 20x – 35x. Who Is FortuneJack Casino Good For? FortuneJack is a good site for anyone who is looking for a cryptocurrency based casino. Unlike many other Bitcoin casinos, FortuneJack supports also supports several other cryptocurrencies and is a dream come true for enthusiasts of virtual currencies who now can play some of the best online casino games using their virtual currency stash at FortuneJack. FortuneJack features an expansive collection of all types of online casino games and has games from some of the most popular gaming platforms such as Evolution Gaming, Betsoft, Aristocratic Slots etc. Indeed, it is considered as the best bitcoin casino around as not many other bitcoin casinos have such a wide selection of games and the site also wins over its competitors in terms of graphics, encryption, use of technology, user friendly interface. All this has been possible due to the extensive experience of the FortuneJack administration in casino and software development industry. FortuneJack remains one of our top recommendation in the Bitcoin only gaming space and it’s in our opinion an ideal site for users of all site as even beginners will find this site as an interesting one and veterans can further enjoy all the games offered by the casino. We have decided to award a rating of 3.5 out of 5 to FortuneJack based on multiple factors which are explained below. FortuneJack performed well in most areas, but like any other casino there were certainly some drawbacks which lowered their rating in our eyes. Their biggest drawback is a complete lack of physical, real world currencies such as USD, EUR, GBP, JPY etc. which acts as a barrier for those users who don’t have access to cryptocurrencies such as Bitcoin. Their second drawback in our eye is less than adequate customer support as it’s only possible to contact them via a Live Chat and email. At this point of time, most online casinos are providing customer support via social media sites such as Facebook, twitter etc. and telephonic support is even older than the internet. FortuneJack must increase the ways in which a user can request customer support as most of their competitors are way ahead of them when it comes to customer support. Fortune Jack’s third drawback is a lack of supported languages as currently their website is available only in Russian and English. FortuneJack is an international casino which doesn’t restricts users from any country. Although some of the games offered by their gaming partners may not be available to users from certain countries. Nonetheless, users form most countries are eligible to play their games. Multilingual website and support in multiple languages is essential for such a company. Their lack of other languages such as Spanish, French, German etc. acts as a barrier between them and online gaming enthusiasts. Although, some may consider the above-mentioned issues as minor ones, but they are important ones which need to be addressed by FortuneJack administration. All these issues affect the confidence of users in an online casino as no one wants to put their money where they can’t get support in their own language or by their preferred medium. Additionally, these issues have stopped FortuneJack from achieving its true potential as the website has a long way to go and can easily add a few thousand more users easily by implementing our suggested changes. We hope you have enjoyed this FortuneJack Casino Review, please don’t forget to subscribe to our website as we are going to publish more such reviews of online casino sites soon.